Does niacin increase your risk for heart attack and stroke? The latest word on using niacin to lower cholesterol claims that this vitamin, B3, can have serious side effects and raises a person's risk of dying. What's more, this recent observation, which was written up in the New England Journal of Medicine, alleges that it doesn't reduce heart attacks or strokes. But that's not the whole story. The study examined a large number of adults ages 50 to 80. All of them had cardiovascular disease and were taking statins. They gave half the participants extended-release niacin and laropiprant (a drug to reduce the face-flushing that niacin causes). The other half took a placebo. They didn't see a difference in heart attacks and stroke rates between the two groups. And the group taking niacin actually had an increased risk of death or serious side effects, including liver problems, excess infections, excess bleeding, gout, loss of control of blood sugar for diabetics, and the development of diabetes in those who didn't previously have it. But niacin raises your "good" HDL cholesterol levels and lowers "bad" LDL cholesterol and triglycerides. These effects should lower risks of coronary heart disease and strokes, not make your health worse. So what happened? Well, look at how they designed the study. All the study participants were taking statins and laropiprant along with their niacin. It's possible that combining the drugs with the vitamin led to the negative effects. It wasn't the niacin alone that caused the problem. If you've been reading my newsletters for any length of time, you know that niacin is a great way to protect your heart. And you also know that I think statins are a bad idea. There are much safer ways to protect your cardiovascular system than with a drug. If you're taking drugs like statins and laropiprant to control your cholesterol, you're putting yourself at risk for serious complications. It's possible niacin isn't the only nutrient interaction you have to worry about. But even if you don't have interactions with nutrients, the drugs alone can cause serious problems, including weak muscles and heart failure. 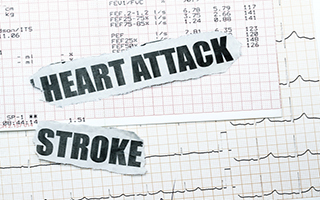 If you're worried about your heart health or your cholesterol levels, don't turn to statins. Instead, try Advanced Cholesterol Formula. It's safe, and it will help you get your numbers to healthy levels. Lloyd-Jones, Donald, MD. New England Journal of Medicine, July 2014.